What could be better than a backyard sanctuary complete with colorful butterflies fluttering through the flowers and foliage? 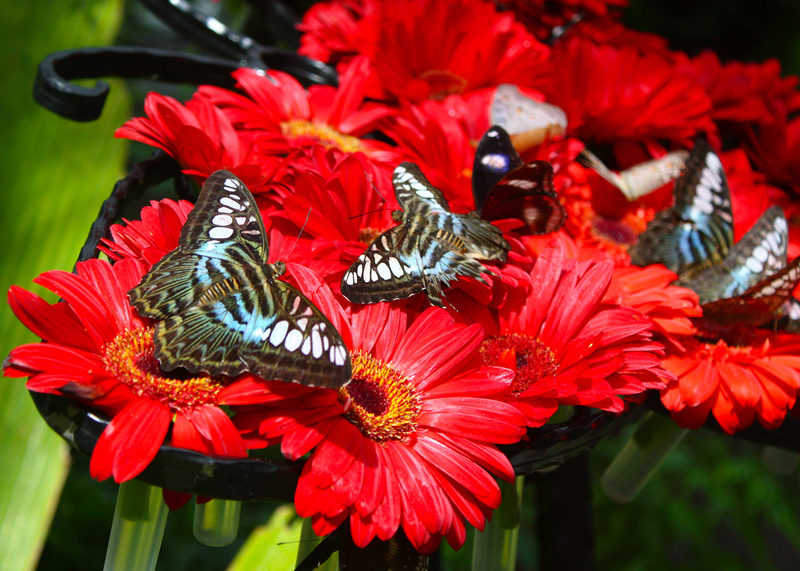 Attracting butterflies (and the caterpillars that become beautiful butterflies) is as simple as incorporating the plants and flowers that butterflies like to eat. By stocking their pantry correctly, you’re likely to have plenty of colorful winged creatures flying about in no time! 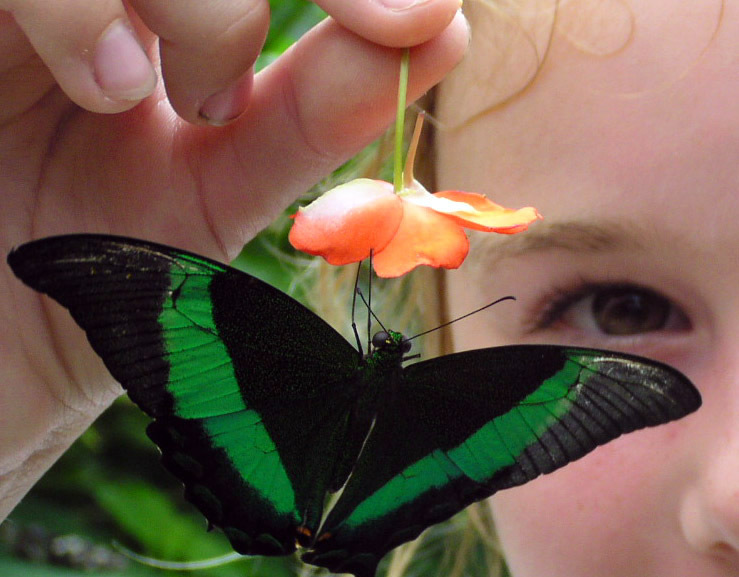 First, see what type of butterflies are found in your region of the country. 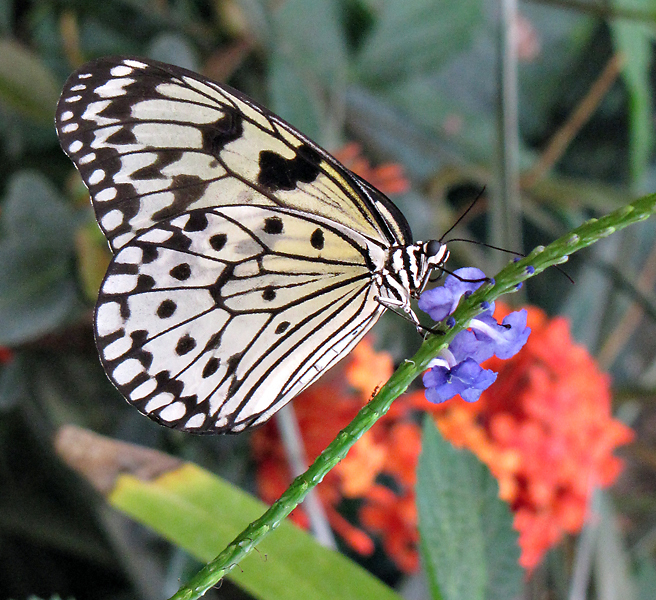 These are the ones that will be most likely to flock to your butterfly garden. Find your state on this chart to see the types of butterflies found in each state. Next, if you want butterflies to be attracted to your garden, and come back year after year, then you want to provide food and a desirable place for those butterflies to lay their eggs. This list of butterfly nectar plants will help you match up plants for the butterflies’ food supply. This list of butterfly host plants will help you determine which plants would give them a safe place to lay their eggs. The plants on both of the above lists are matched with the most popular species of butterflies. When it comes to choosing your nectar plants for the butterflies’ food supply, keep in mind the taste of the nectar is just as important as the color of the flowers. As long as you consider all flowers beautiful, then you won’t worry too much if the colors clash a bit — because the most important part is to match what works for the butterflies in your region. That is, if you want to increase the butterfly population in your garden! Also, be sure the nectar plants and the host plants are fairly close together. Butterflies like to have their young close to the food supply. If you happen to find caterpillars collecting on one particular plant (rather than spreading throughout a group of similar plants), try relocating some of the caterpillar population in your garden. Be sure to wear gloves. Depending on the breed, they may have hairs (or spines) that could sting you as a defense mechanism. Butterflies are cold blooded. They require the heat of the sun in order to maintain their body temperature. Leaving an open area in your garden where direct sunlight can provide 5 to 6 hours of warmth for them will help to increase the number of butterflies in your garden. As a result, the butterflies will be more likely to stay close to home where they will be most visible throughout the day. All creatures (yes, even butterflies) require shelter. Adding a butterfly house to your garden will give the butterflies a safe place to go in bad weather. The successful butterfly gardener takes into consideration they are providing habitat for creatures in their garden. So it’s important to remember that while insecticides may keep unwanted bugs away, they will eliminate butterflies as well. There are lots of fun outdoor decor & garden accents that you can add to your butterfly garden as well. These are items that will add more color, as well as a sense of your own personality to your outdoor space. Depending on the size of your garden, you may want to add a butterfly chair or patio bench to finish off the space.